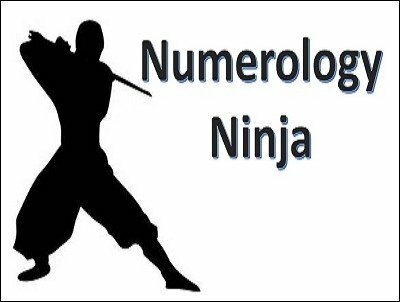 Become a Numerology Ninja in one hour. Give me one hour and I'll show you how to give amazing readings with people's numerology numbers. If you have ever wanted to give incredible numerology readings but were daunted by how many meanings there were, or if you were frightened off by the thick books of detailed meanings (I was!)... then this video will be a huge relief for you. Imagine holding a person completely spellbound, hanging onto your every word, and finally being completely shocked at the incredible accuracy of a reading that you just gave them. Yes you. It is possible when you become a numerology ninja. Numerology can be a lot easier when you know how to read a person's life, year, month, and even their day like a book. My name is Jesse Lewis and I can teach you numerology in one evening. Quite frankly, some of the folks I've taught have commented that their sitters think they've been giving readings for years! Best part: my system is so easy that you'll have a hard time forgetting the meanings. And after only a few readings you'll be giving beautiful readings that flow like a river. That is what every reader strives for. For fun and for profit - What to do, what NOT to do. And you can forget about the competition. I'll fast-track you and show you how to soar like an eagle with powerful, direct and amazing readings. I bet you're wondering, how much does this all cost? Well, for the same knowledge you'll be getting I have charged my coaching students hundreds of dollars in consulting fee's. If you want I can teach you one on one and charge you the same as them - Or you can buy this video and get the knowledge for a fraction of the cost fast easy and use-able. If you have ever wanted to become a numerology ninja and give amazing accurate readings quickly, you need this video. Order today! 1st edition 2016, length 57 minutes.